This Thailand’s northernmost district is approximately 62 kilometers from Chiang Rai on Highway no.110. 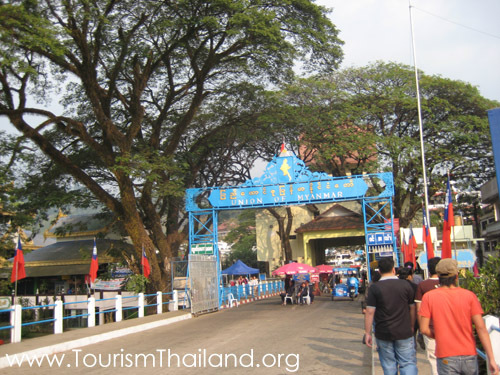 Serving as the border town with a bridge crossing over the Mae Sai River, connected with Myanmar’s Tha Khi Lek, Mae Sai is always busy with people crossing the borders, from locals making trades to tourists passing for traveling trips. There are also choices of tour services to nearby cities, such as Myanmar’s Chiang Tung that is approximately 160 kilometers to the north. Opening hours: Daily 6:00 a.m. - 18:30 p.m.